Every child assessed for mental health issues must be asked about their social media use, psychiatrists have been told. The advice, issued by the Royal College of Psychiatrists, said clinicians should check if youngsters are spending too much time online. It comes amid growing evidence of possible links between poor mental health and content seen on the internet. Experts estimate the average 14-year-old is now using social media for three to four hours a day. At this level of use, 27 per cent of youngsters have symptoms of mental health problems – compared to 12 per cent of those who do not use social media at all. 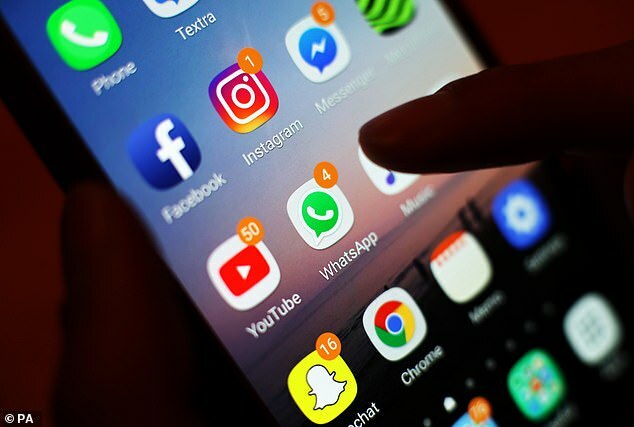 MPs this month said addiction to social media should potentially be classed as a disease as they called for tough new regulations to protect children from an ‘online Wild West’. They said sites such as Facebook, Twitter and Instagram should be regulated by Ofcom and forced to abide by a statutory code of conduct. A teenager overdosed and died after being refused treatment because she was not ill enough to meet the criteria for mental health support, an inquest heard. 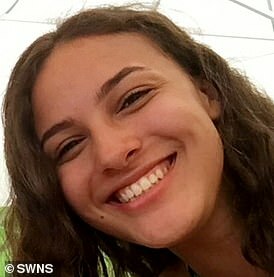 Afrika Yearwood, 18, was ‘ping-ponged’ around the NHS and received just over two hours and 21 minutes of care from different NHS services in the three months before her death in May 2018. The A-level student from Leeds repeatedly spoke of wanting to die, Wakefield Coroners’ Court heard. But her mother, Beverley Yearwood, said she was ‘shunted’ around – and in one 58-minute call pleading for help she was told her daughter was ‘not acutely ill enough’. She added: ‘When I’m sat by her grave I hear him say she is not acutely ill enough.’ The inquest continues. The impact of social media was thrust into the spotlight by the death of 14-year-old Molly Russell, who took her own life after viewing images on Instagram that glamorised self-harm. The college said such content, or material promoting eating disorders, could have an impact on an existing mental illness. Spending too much time online also limits time for other activities, such as face-to-face conversations with friends and family, the college said. And it recommends that children stop using gadgets at least an hour before going to bed and avoid using it at mealtimes. Dr Bernadka Dubicka, of the child and adolescent faculty at the Royal College of Psychiatrists, said: ‘Although we recognise that social media and technology are not primary drivers of mental illness in young people, we know they are an important part of their lives and can be harmful in some situations. ‘As a frontline clinician, I regularly see young people who have deliberately hurt themselves after discussing self-harm techniques online. ‘Clinicians recognise the well-known phenomena of young people copying each other’s harmful behaviour while on inpatient units, but it’s even more worrying to see this replicated in the online world where audiences are so much bigger. The Government is set to publish a White Paper on forcing social media firms to sign a code of conduct protecting young and vulnerable users. Claire Murdoch, of NHS England, said the new guidance should act as a ‘wake-up call’.